Health & Well-being is a lifelong challenge. Whatever stage in life, whatever condition we find ourselves, there is the challenge to deal with it, and even improve it where we can. Or, in the case of a care-giver, help someone else manage their situation. Below is a list of resources that members have suggested. There are many more available. Do you have a resource that has proven to be of particular value? Please let us know about it. 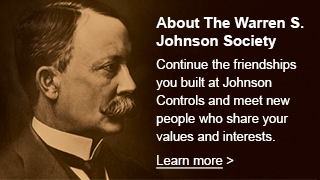 Just send a message to Help@WSJSociety.com. Eldercare Locator a public service of the U.S. Administration on Aging connecting you to services for older adults and their families. You can also reach us at 1-800-677-1116. Wisconsin Caregiver Support Network support services for those who are caring for a family member, friend or neighbor. A good number of organizations have found our website, particularly organizations involved is some aspect of service to seniors. Suggestions by these organizations are included in the following. We don’t have specific experience with the organizations. We know that they searched the web, found our site, particularly this Resources page, and thought it interesting and of value to share their resources with us. Please let us know if you have any experience with the resources on the list. Marie Villeza, who is creating a start-up, ElderImpact.org, that is “…dedicated to identifying resources to keep seniors healthy, connected, and up on today’s news and developments.” The website is a work in progress, but her listing of resources looks interesting. The list has resources that might be of good value to caregivers as well as concerned seniors. What do you think? Please let us know what you think of the ideas by Message to the Editor on Join the Discussion. Learn Touch Typing for Free!